Yes, journals can display a status of "Manuscript Under Review" to their authors, rather than an exact timeline of where their manuscripts are in the review process. Please note: This configuration option does not appear for journals that participate in the law review submission pool. By default, the details of the manuscript status are not shown to authors submitting to those journals. Only the journal administrator can change the journal's settings. Click the checkbox next to the action. 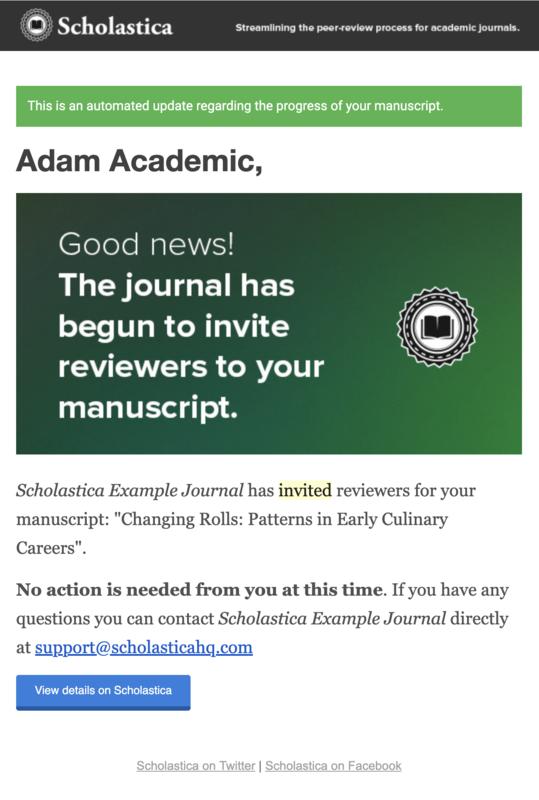 If you've opted to allow authors to get more details about where their article is in the review process, they'll receive an email that looks like this when the first reviewer is invited to review the paper. 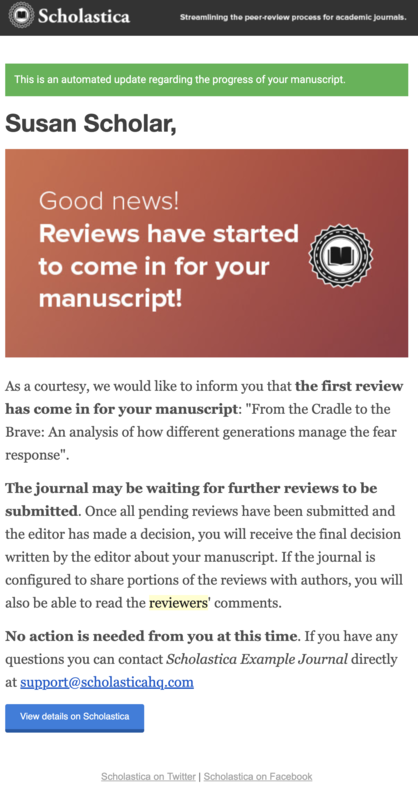 If you've opted to allow authors to get more details about where their article is in the review process, they'll receive an email that looks like this when the first review is submitted for their paper.